The recommendation for salt intake is to limit it to only 6g a day (about a heaped teaspoon). However, the average intake is closer to 8g a day. The statistics suggest that if the 6g a day target were achieved, it will prevent over 8,000 premature deaths each year and save the NHS over £570m, annually. Over the last 15 years, a concerted effort by industry and public health campaigns has seen the nation’s average salt intake decrease by 10 per cent. 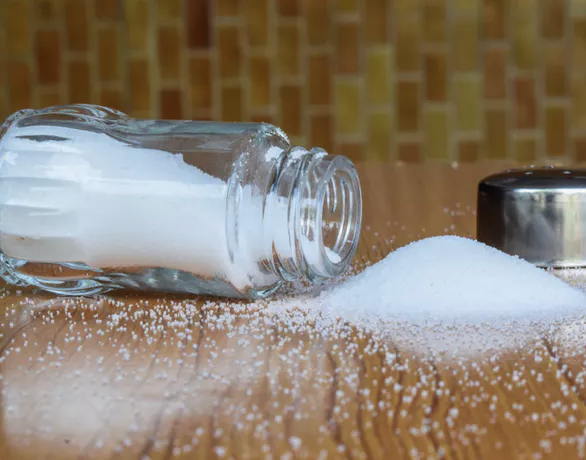 Part of this decrease is down to the fact that we are slowly becoming more accustomed to food with less salt, and part of it is down to the fact that scientists now understand more about the perception of saltiness.